Our chocolate supply chain: from organic cocoa beans to organic chocolate bars. Our Pride: Selection and verification, to guarantee the finest chocolate for our customers. Within the development of the Otto Chocolate project, a very significant facet of the initiative, is our partnership with the laboratory that deals with the transformation of high-quality Peruvian cocoa from the Acopagro cooperative, into the line of organic chocolate bars that we offer our customers. 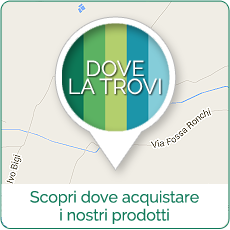 Some of us have already had both gratifying experiences and fruitful relations with the ICAM company, and we were convinced, from the earliest phases of the research and development of this collaborative idea, that the Agostini family and their establishment were the ideal partners to embark on this adventure. Since 1946, the exclusively Italian-owned ICAM has been a pioneering force in the history of cocoa and chocolate, both in Italy and abroad. ICAM brings seriousness, dedication, loyalty and meticulous care to their product and its supply chain, from the planting to the delivery of the final product to the costumer. ICAM workers and engineers have assisted cocoa farmers for decades, they work directly in the locations where the plants and fruits originate. They test the soil and recommend the best resources during selection phases, both harvest and post-harvest to guarantee the best performance, the best quality and the highest return for each component of the supply chain. An optimal final product can only be obtained by using excellent raw materials, having a deep respect and love for the plants, the fruits and the ecosystems in which the grow, live and propagate. And of course, the same attention should be shared with the people that have owned them for centuries and rely upon them for their existence, work satisfaction and autonomy and future. Once the selected crops arrive at the processing plant, (even after making it through the required technical, administrative and bureaucratic steps along the supply chain), are re-check, analyzed and tested with small samples of raw material: COCOA and CHOCOLATE product. Inside the new plant, technological innovation and historical tradition, genius and passion, experience and knowledge accompany the raw materials continuously as they complete their transformation into final products. They are treated with complete respect of their innate characteristics, their perfumes, their aromas and their flavor profiles, in order to maximize their potential while maintaining their inherent traits - recognizable at the time of tasting. Each phase of the process, from the sacks of cocoa beans to the departure of the chocolate by express courier, is followed internally with checks, tests and inspections at each step. The cocoa that arrives at the plant is promptly analyzed, and if approved, organized neatly within the appropriate structures. Our staff is always present when processing a harvest of our cocoa, and carefully monitor our chocolate production lot. 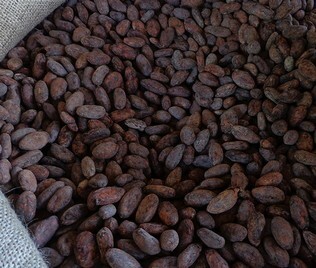 The bags are opened, the cocoa beans are cleaned and brushed. Then the roasting begins, followed by the separation of the peel from the seed itself. The crop reduces gradually as the processing continues. The crop is transformed into a liquid mass, then the cinching and tempering of the cocoa, and with the addition of a few other ingredients, the chocolate begins to assume life. One could almost say that we know the first and last name, address, destiny, future and joys of every single bean. Always. It is not for nothing that ICAM maintains the most rigid and clearly articulated standards and certifications in Europe, and the world. And they are a global leaders in Organic and Fairtrade production, and one of the most scrupulous and attentive manufacturers and suppliers within this sector and of the Modern Distribution. All of the players are held to the highest standard of control, from our research and market development teams to those that evaluate the ethical and moral reliability of our system and those who work within it. These are our partners in this transformation, and we want you to be a part of it. Ethicial sensibility, technical capacity, sustainability and respectful human sharing give our project something more. Technical cookies are necessary and help to make a website usable by enabling basic functions such as page navigation and access to protected areas of the site. The website can not function properly without these cookies. Session cookies PHPSESSID, SSID_ These are general purpose identifier used to maintain user session variables. They can be used for recognizing the user and maintaining a logged status when visiting new pages. Statistical cookies help website owners to understand how visitors interact with sites by collecting and transmitting information in an anonymous form. Google Analytics __utma, __utmt, __utmb, __utmc, __utmz, __utmv As a user navigates between web pages, you can use the analytics.js tagging library to record information about the page the user has seen (for example, the page's URL) in Google Analytics. The analytics.js tagging library uses HTTP Cookies to "remember" the user's previous interactions with the web pages. Shinystat SN_, SSC_, SSBW_, flsuuv_, SSID_, SV_, brand_, data_creazione_, issessionusr_, CAP_, trgg_, trggds_, trggpu_, trggvv_ As a user navigates between web pages, you can use the Shinistat scripts to record information about the page the user has seen (for example, the page's URL) in Shinystat. The Shinistat library uses HTTP Cookies to "remember" the user's previous interactions with the web pages.